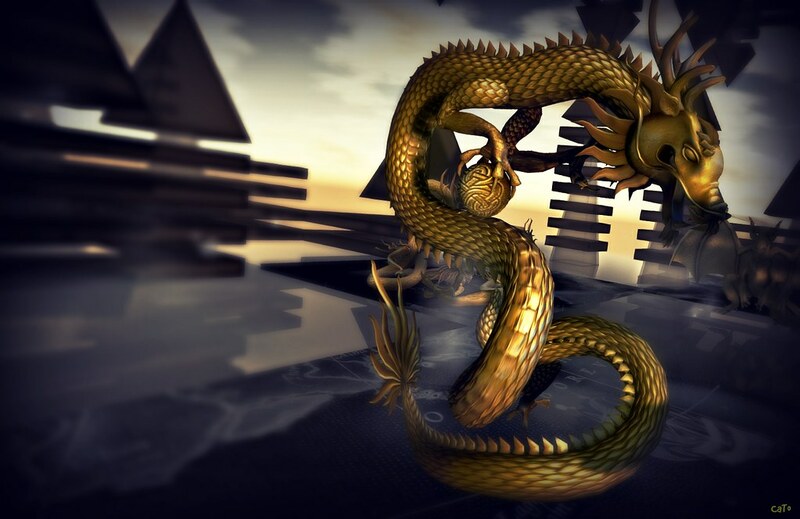 From Here On There be Dragons is an art installation, currently on display at Split Screen, by Alpha Auer. 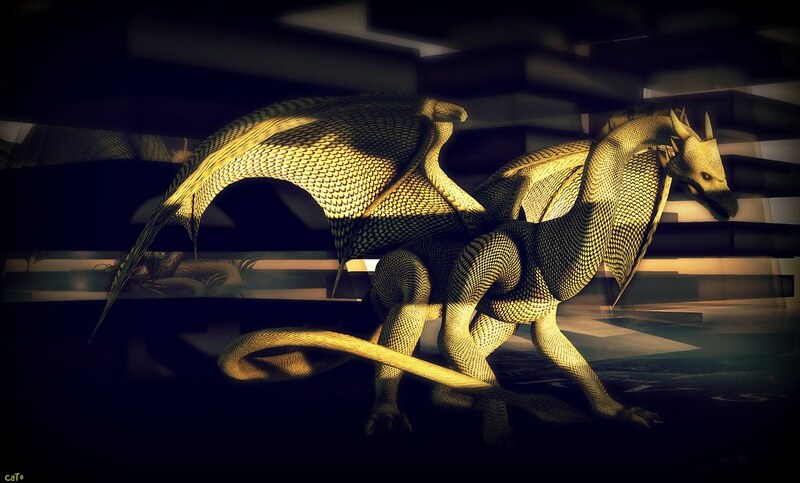 A modern building in the sky, guarded by amazing golden Dragons. The mythological creatures stand on a floor which is textured with a leaf from Abraham Ortelius’s “Theatrum Orbis Terrarum,” a Renaissance map of the world – as to visualise how renaissance and medieval map makers used to draw sea-creatures and dragons on maps of unknown territories (or the edge of the world, of course). Whether you love old world-maps or Dragons, or both!, the exhibition is certainly worth a visit, the Dragons (as far as I could see they are created by Jade Leaf Studio’s Ayuki) are wonderfully detailed and stunning! At the entrance you can pick up a free avatar, made by Alpha Auer! Thank you so much! And yes, well spotted, the dragons are made by Jade Leaf Studios. Amazing work! Even though I did change all of their textures the credit still definitely goes to Ayuki!